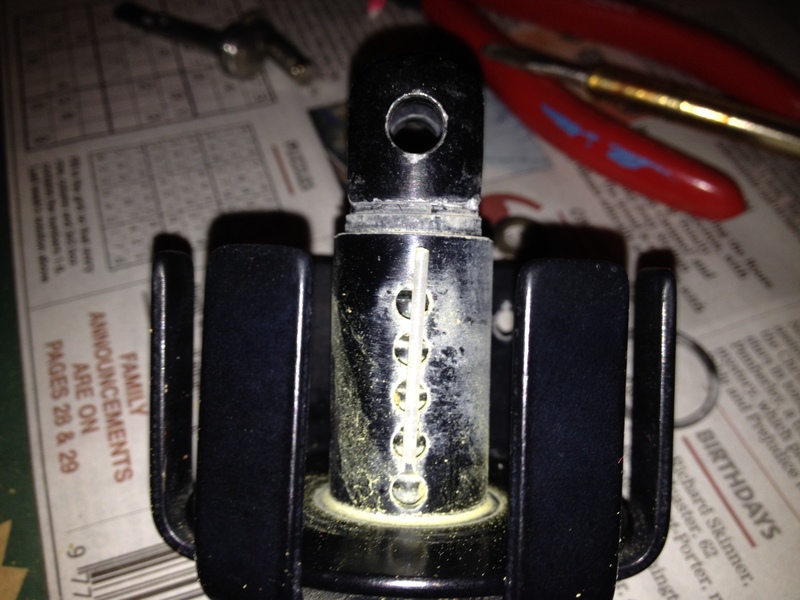 Servicing Your Harken Furler (How to!)…….!!! The Harken high-load furler is a pretty great piece of kit making sailing the fifteen all that much easier and helping prolong the life of your jib. However you may notice that after some time it becomes stiff to use and the action is not as smooth as it one was; this is usually due to the balls in the mechanism becoming, worn, pitted or in some extreme cases falling apart. On closer inspection of your furler (without the jib attached) you might notice that by grasping the top plate you can move this in a vertical plain quite a bit; a sign that the ball bearings might be worn. Now Harken do supply a ball kit for both the bottom furler and top swivel so that you can replace these worm items and return smooth operation to the unit; your crew will thank you for this. Alan Bax of P&B tells me that he sells very few ball replacement kits so there must be a load of furlers out there not working properly. The ball kits can be supplied by Harken direct or from all Harken dealers and your favourite Flying Fifteen builder P&B, Phil Evans Sailing Services etc. Here we are going to take you through the process of replacing the ball bearings in the bottom furler unit (the process is similar for the top swivel). It’s quite an easy process and can be completed on one of the long winter evenings accompanied by bad weather we are currently enjoying. This might not be the Harken approved method but it works for me. 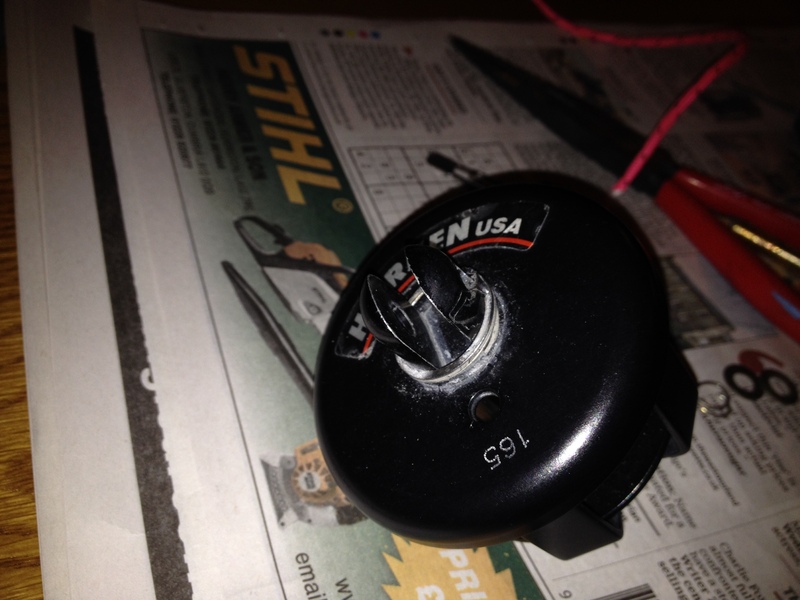 Stage one – Disassemble your furler. Having removed the unit from the boat and removed the control line, take the unit to the work bench and get a large Tupperware container, shallow ice cream carton or similar to work in. This is quite important as the bearings are small and can bounce a remarkable distance if not restrained. (I have forgone this in the disassembly stage for photographic purposes, it’s more important when assembling the new components). The first task is to remove the circlip which holds the thing together, this is a clupet type ring (it has no open ends) and is made from very springy strong steel, it sits under a groove in the top of the barrel pressing down on the top plate (the bit with the label stuck on in the picture). To remove the ring (this is the hardest bit I promise) get a small thin flat blade (I’m using an old worn electrical screwdriver) and finding where the two pieces of metal in the rings upper surface over lap insert the blade. Ease this up over the lip and continue to work round the barrel. You will notice that the ring starts to spring a part, this is the top piece of metal eases away from the bottom giving the appearance of a flat spring. 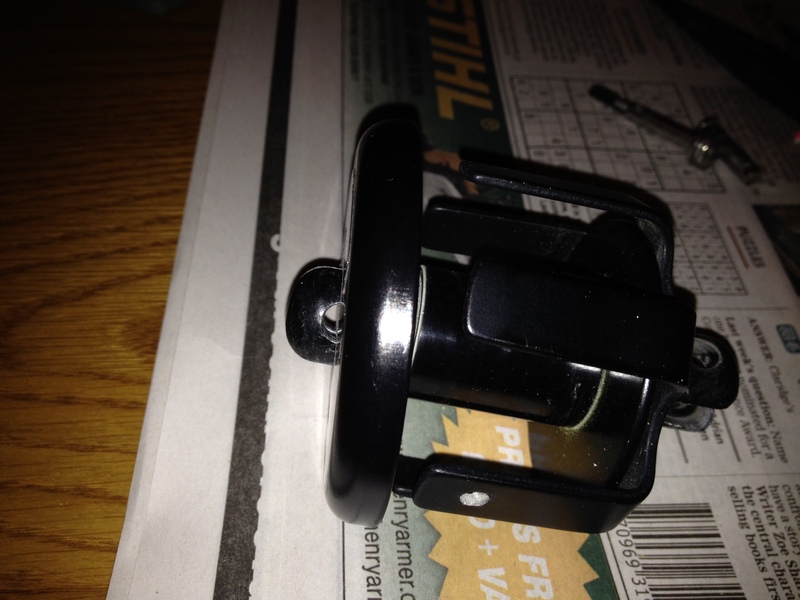 Continue working around the metal clip and easing it away from the top plate. In these pictures you can see the two surfaces of the circlip separated, continue easing this up the barrel until it comes off (try not to bend it as you will be putting it back on). From this point disassembly is easy. In this picture you can see the plastic security strip in its locating grove holding the balls in place, in turn held in place by the barrel cover. Do not lose this strip (which is why it is best to do this work in an ice cream tub or shallow tray. Remove the plastic strip as shown, this comes out quite easily to allow access to the balls. 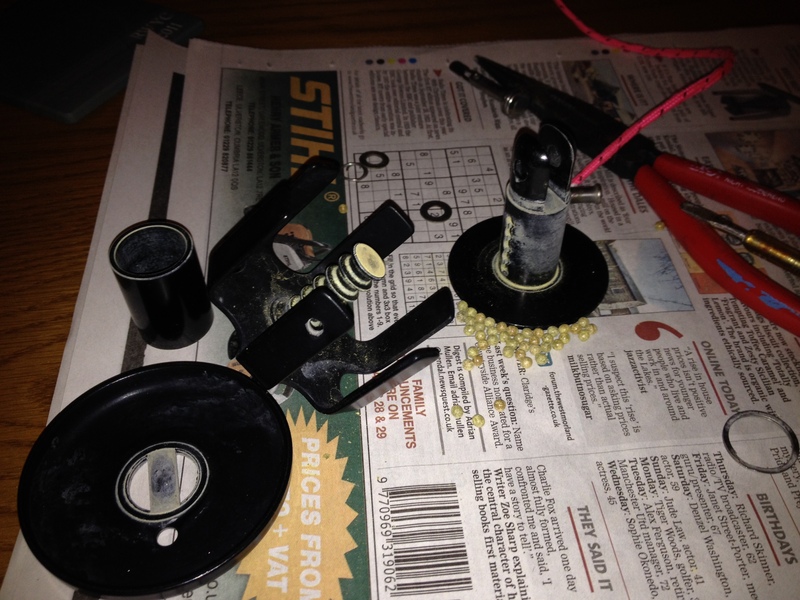 Now holding the base of the unit (far left in the picture) rotate the inner barrel holding the unit over the ice cream tub or tray with the fenestrations facing down (give it a gentle shake whilst turning) and the balls should fall out. 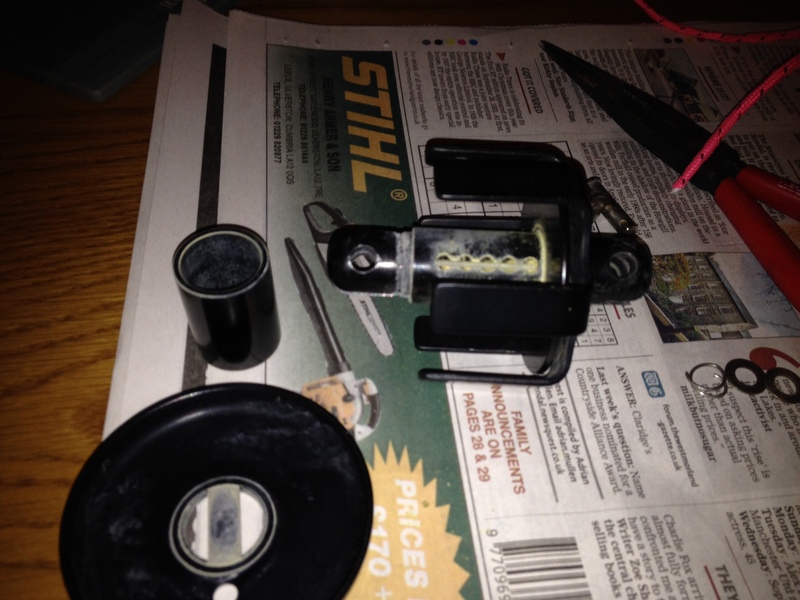 You can then remove the inner barrel from the unit leaving you with the complete set of disassembled parts. You will then see the races in which the balls run. Picture below. 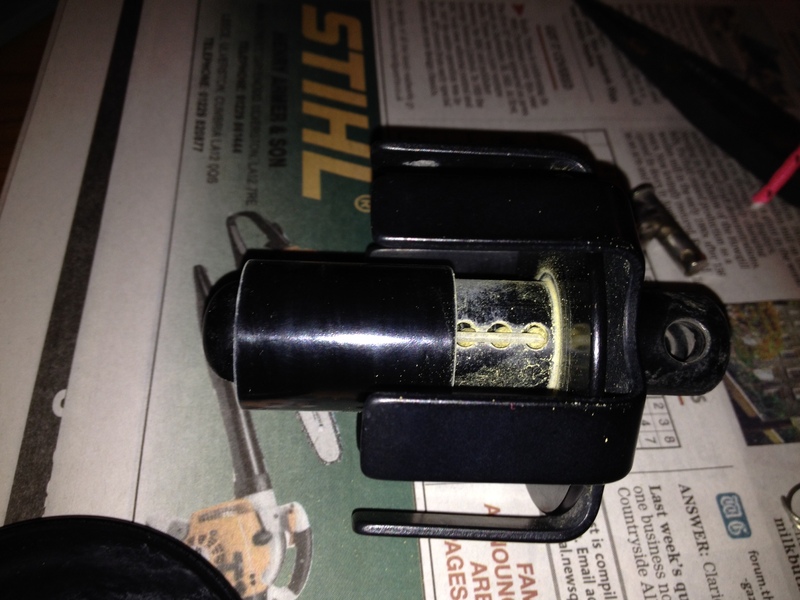 Notice the bottom plate is part of the inner barrel and the yellow dust from the bearings. 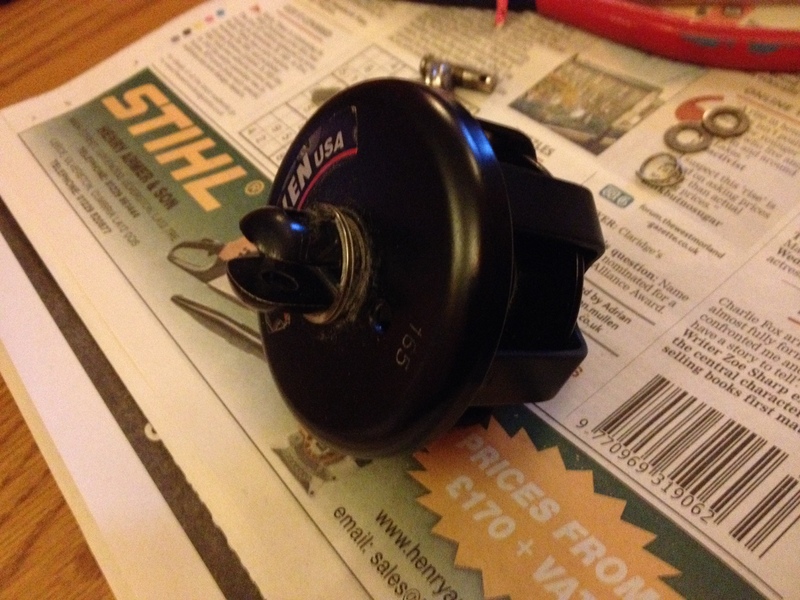 Harken advise that this unit is “dry lubricated” so do not use any form of grease or oil based lubricants in re-assembly this just gives sand and salt crystals something to cling to a wear out the unit more quickly. 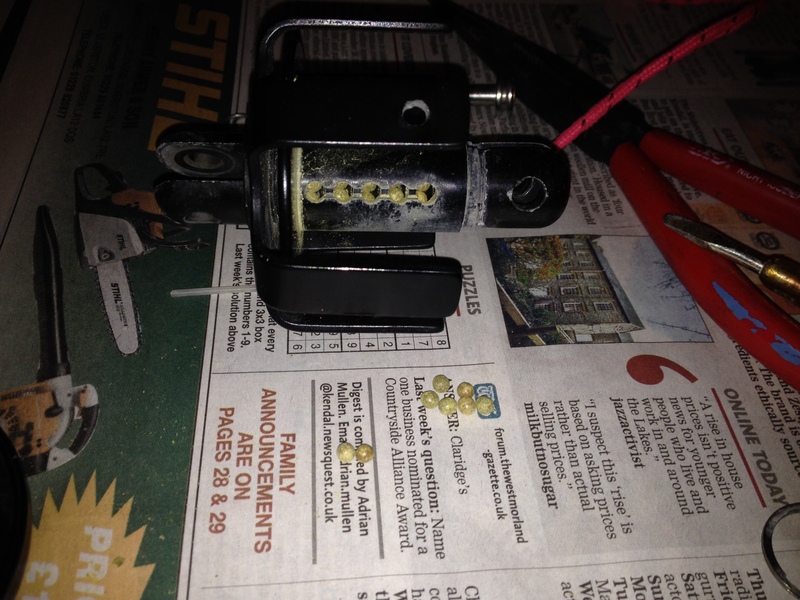 You can clean the unit with soapy water or a mild solvent but be sure that this is all removed and dry before re-assembly with the new nylon balls. You can click here to download Keith’s set of instructions, with photographs, to have beside you as you do it. 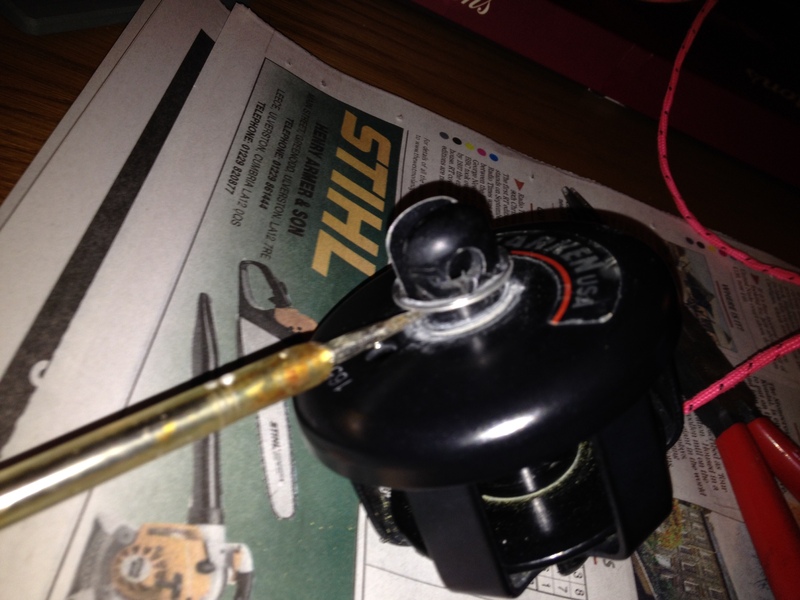 Keith will hopefully provide the instructions for reassembly…. This entry was posted in Ownership and tagged flying fifteen, furler, furler maintenance, harken, hi load, high load, servicing by flyingfifteen. Bookmark the permalink.